Members $20 (MCH members or govt support concession, full-time students). The Prime Minister likes to paraphrase Mark Twain saying, “only fiction has to be credible”. Perhaps that’s because he has lived through the incredible last decade of Australian politics. In 2008 Kevin Rudd was in his first year as PM, enjoying a 70 per cent approval rating and, apparently, settling in for a long run. In November that year, Barack Obama was elected President of the United States and America looked like it would finally become the land it imagined itself to be. What went wrong? Come and find out the details, insights and perspectives! 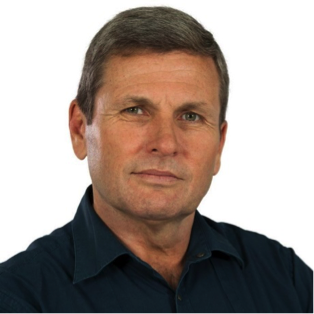 About the speaker: Chris Uhlmann is a leading Australian political journalist. After many years working for the ABC, in August 2017, Uhlmann moved to Nine News replacing Laurie Oakes. He had previously held the positions of the political editor for the 7.30 report, 14th presenter of AM for ABC radio and ABC News political editor. In 2008, Uhlmann received the Walkley Award for Broadcast Interviewing. With Steve Lewis, Uhlmann has written a series of political novels set in Canberra: The Marmalade Files (2012), The Mandarin Code (2014) and The Shadow Game (2016). These feature a political reporter, Harriet Dunkley, investigating a conspiracy involving China, the USA and Australian security organisations. In 2016 the first two books were adapted as the Australian television series Secret City.